In 2007 after the release of my first and only book, I was trying to figure out what the next logical step in my career was going to be. I mean my “personal” career. I was working at an agency at the time but worked feverishly on my own little projects outside of the office. My book kind of summed up everything I did in my twenties and put all those unfinished projects to rest. And for a bit more perspective, I registered Signalnoise.com in April of 1999. I was flopping around like a fish on the wharf during those 8 years trying to find my artistic voice. Inspiration without direction. For downloadable evidence see the Signalnoise Graveyard and the myriad of Signalnoise logos. If you happen to come across this blog please be aware that it is under construction. I am currently building a better compatibility between my personal site and my Flickr account. I’ve come across a few wonderful Flash applications that make a seamless connection to Flickr accounts, something I’ve been searching for. So, thanks for your interest. Please come back for something better once the foundation is built. What a knucklehead, huh? In the days following I would write a few little posts on the creative process, started breaking down some of my personal techniques and experimenting with some different art styles. Again, nothing profound. I think I had 13 visitors on my site that month but I didn’t care. That’s when everything changed… I stopped creating art based on trend or acceptance and started creating art for myself. I started having fun. I started to play. I started to explore. For the first time in my career, Signalnoise.com had become to backbone of my work rather than just a display tool. I wanted to keep it fresh, which meant creating new art and content. They fed each other. A few short months later I was contacted by an up-and-coming design blog to do my first online interview. The email came from a guy named Fabio Sasso and his little Abduzeedo website would expose my art to the world. Why am I writing this? Well, I get asked by a lot of students and design professionals about how I “did it”. And the truth is there’s no secret ingredient. I made a decision and stuck with it, started small with that goofy little post above and have been building Signalnoise pixel by pixel ever since. Back then I never would have guessed I’d still be doing it 5 years later… but I probably wouldn’t have cared either. I was having fun, and that’s what counts. So today I’ll be reflecting on the last 5 years and the ongoing journey with this little website. It just might get a little weepy. Wowser, congratulations James. Well I was a bit of a Johnny-come-lately as you know, but your blog has been such a huge inspiration to me, and I’m sure heaps more folks will say the same. Well done matey, looking forward to seeing the next five years (and beyond) of the Signalnoise story. All the best. 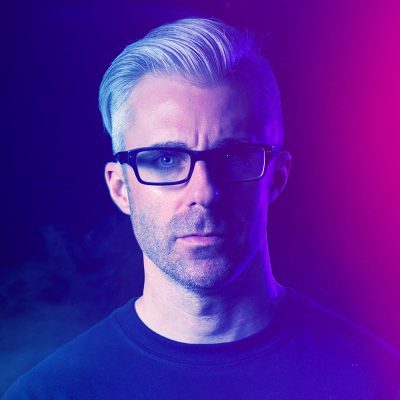 I think the name Signalnoise first registered on my radar when I tuned in to a live broadcast (wish I could remember which one) after it had been linked up from a Twitter follower. Ever since then I’ve continued to check out the site and your work that’s been coming out. It’s great to learn about how you got things together and how the site grew from your desire to explore and play, I can certainly make a few comparisons to that on my own site and it only helps reinforce the idea that if you truly work hard enough at something and are passionate about it, it will pay off in the long run. Congrats on the five years of Signalnoise joy! Can’t believe that’s how long it’s been dude! That abduzeedo article was how i found your work and it’s been awesome watching you do you thing over the years! Thanks for the inspiration on and off screen! I kind of discovered your art late, but thanks to the SNBC recordings I’ve been able to keep up with your career and see how much you’ve grown. Your passion for design is awesome as is the care you show for those who follow you. The only way to describe you and your work is by calling you… inspiring. Congratulations! Congratulations! I think the first thing I saw of yours was Reckless Love…since then I’ve been lurking around here and some of my other favourite designers/artists blogs and I’ve finally decided to get more involved in the design community. What you’re saying about designing/creating artwork for yourself – what inspires you and things you love – instead of for trends is something I’m really trying to take on board because when you’re starting out a blog like I am it’s easy to think you need to create artwork about One Direction and Twilight to get noticed. Thanks for the kind words, gang. I didn’t post this to garner any congrats, but I greatly appreciate it nonetheless. You guys are awesome. I do a lot of reminiscing anyway, but on days like this it feels potent. When things started there was no grand plan, or action items, or business model, or whatever. There wasn’t even a real goal for the site, it was just something to encourage me to make stuff. Never could have anticipated the consequences, especially at the beginning. But I also didn’t care too much. It was just fun. This is very inspiring James. In just start to work for my own and read your blog makes me push more harder in my professional life. Congratulations! Five years is a big milestone, especially for a blog. I probably first saw your work through that Abduzeedo article as well. Thanks for taking us all along for the ride! I remember stumbling into my first SNBC broadcast a few years ago, your passion and personality shined through. Started following your blog that day and never missed a broadcast since. Your work and work ethic continue to be an inspiration…here’s to another 5 years!